Please note that clicking any of the course links below will redirect you away from the EHS website to the EHS Training Database where you can view training descriptions and register for scheduled training lessons. Registration is required. 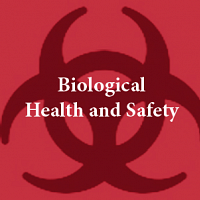 Reminder: Laboratory Safety and Chemical Waste Management, Bloodborne Pathogens, and Asbestos courses require annual retraining. After completion of these courses, you will receive annual automated reminders to help you stay in compliance. HuskyCT training can only be viewed after the end of the semester in which it was completed. Q: I am new at UConn. 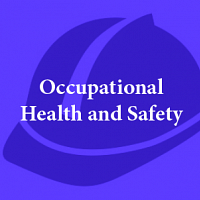 How do I know which safety training I need? OR, I was told to call EHS to find out what safety training I should sign up for? A: Please speak with your PI/Supervisor and refer to the following tools: the Workplace Hazard Assessment for your area and the Employee Safety Training Assessment. EHS staff can also be consulted for assistance. Click here for more common questions about training and their answers. Asbestos Awareness classes are held on the first Thursday of every month. You must register for all EHS training lessons to ensure adequate space and availability. Courses with no participants registered may be cancelled. Walk-in attendance for cancelled classes will not be possible. Walk-in participants for courses that have filled may not be able to complete/participate in some training courses. EHS HuskyCT online training requires pre-registration. After using link above to register, please allow up to two business days for HuskyCT access. To register for EHS courses, you will need your official UConn NetID. To find your NetID go to: https://netid.uconn.edu. If you are a visitor without a NetID, please contact EHS for training registration support. For assistance please call 6-3613. If you require an accommodation to participate in these events, please contact Shawna Lesseur at least one week in advance of the training you plan to attend.